A Northampton pub that was ‘associated with drug use’ has had its licence removed by councillors. Northamptonshire Police had asked for the premises licence awarded to the King David pub, in Newnham Road, St David’s, to be reviewed after they alleged a string of serious incidents had taken place there. The force said the incidents were in connection with the presence of an ‘organised crime group’ at the premises, and that the most recent landlady was aware of that presence. Councillors decided on Monday afternoon (October 8) that they had ‘no option’ but to revoke the licence, though the pub had already been shut since September. The meeting at The Guildhall, almost the entirety of which was held in private due to ongoing police investigations, saw both representatives from the force and the licence holder EI Group Plc (formerly Enterprise Inns) present. Although the session was held in private, public papers for the meeting showed that a number of alleged incidents had occurred at the pub since the new landlady, who was also the designated premises supervisor (DPS), took over in November 2017. She has since been removed as DPS. These incidents included staff being threatened by a man with a knife in November, a shotgun hit and run incident in January, and the then DPS’ son allegedly dangling a machete out of a window in July. 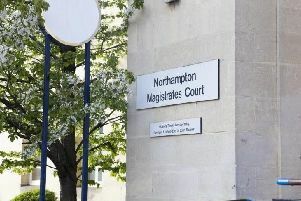 After hearing evidence and deliberating, Northampton Borough Council’s sub-licensing committee revoked the licence as it had ‘a duty’ to do so in the public interest. The committee found that there had been ‘a history of problems at the premises and these have increased in number and seriousness in the recent months’. The panel said it was ‘very apparent that the premises appeared to be associated with drug use and drug dealing’ and that there was ‘no evidence of robust action’ to ensure the tenants would comply with licensing objectives. Although the committee considered that applying conditions to a licence could be ‘appropriate for noise issues’ it did not feel they would be sufficient for the other problems associated with the premises. It also found that despite the removal of the landlady as the DPS, the issues are ‘much wider and have an impact on the community’. The committee considered that suspending the licence would merely put off the problems and that it had ‘no option’ but to revoke the licence.